A week of statements appears to have come to an end and they have had little effect, truth be told. The World Anti-Doping Agency (WADA) Executive Committee’s decision to confirm the reinstatement of the Russian Anti-Doping Agency (RUSADA) has seen temperatures soaring. 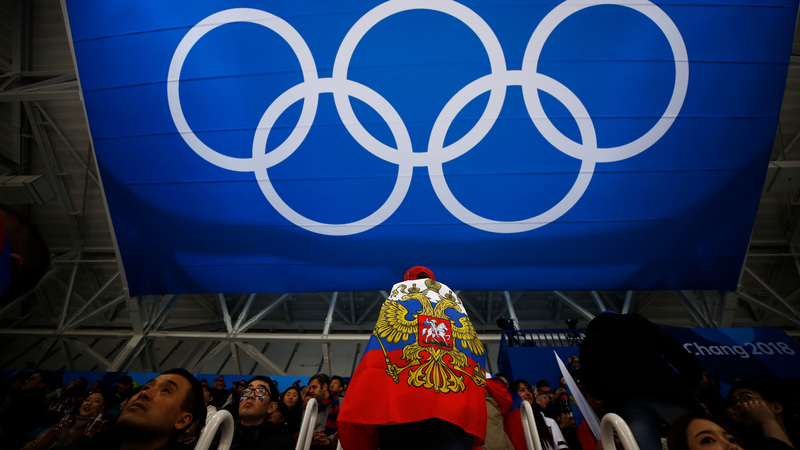 The outcome has seemed fairly inevitable since the International Olympic Committee (IOC) lifted the Russian Olympic Committee’s suspension after the Pyeongchang 2018 Winter Olympics. In reality, that was the last moment for any faint hope of Russia accepting the McLaren Report was extinguished. Some IOC arm twisting may have encouraged Russia, but in reality this was never an option. The ROC reinstatement essentially confirmed they could wait it out with WADA, with the organisation certain to blink at some stage. Much as been written about the decision in the last couple of days. It simply comes down to three P’s. Principles, pragmatism and perception. The principled move would have been to maintain the criteria to the letter, as vowed from the start. The inflexibility of the initial criteria saw WADA perceived as authoritative initially, but weak now. Pragmatism prevailed, as it always would. Without it, Russia would lie in a near permanent state of non-compliance. As some have already written, the decision has been viewed as the “least worst option”, with the reinstatement perhaps leading towards possible sanctions for Russian athletes that may not have been possible otherwise. Possible non-compliance, under strengthened standard, have been touted as the consequence if this does not happen. Eyes now have turned towards the International Association of Athletics Federation (IAAF) and the International Paralympic Committee (IPC), who have so far vowed to continuing to apply their own criteria, insisting RUSADA’s reinstatement is not a golden ticket to having their membership restored. It should not come as a surprise if both bodies come under some soft pressure from key sporting officials over the next couple of months to relax their criteria. The decision has continued to highlight the clear divisions and issues that exist throughout the global sporting structures. The most fascinating has been the declarations made by Athletes Commissions over the past week, which could easily been viewed as an extension of the background battle between the IOC and National Anti-Doping Bodies. For all their mistakes, one of the biggest problems for the IOC is that they arguably showed their hand on the situation surrounding Russia too early. With their position to get Russia back on board as soon as possible being obvious, any statement from a member or Commission has been easily construed as coming from above. Given that a number of NADO’s Athletes Commission’s had been extremely vocal in opposition to WADA decision, their statement appeared to fly in the face of this. Kirsty Coventry offered up a defence of their position yesterday, claiming the recommendation enabled greater transparency, allow WADA the data to prosecute and ensure a level playing field. In fairness, this may all prove true. I am not sure there is anyone who has offered their opinion on the situation surrounding Russia who has claimed there are not clean Russian athletes. The claim that they represent all athletes is somewhat flawed, as it is unlikely every decision will be supported by 100 percent of the athletes. I am sure they do some good work, but their voice has largely been absent from the debate over the past couple of years. For a start, it would be worth knowing what the majority position among all athletes on this issue is. There has been near silence from Asia, Africa, South America and virtually all of Eastern Europe. While Commission itself is meant to ensure that the voice of the athletes is heard and part of the process, surely part of its remit is to offer their own opinions on proceedings and provide challenges to the IOC. Instead the Commission has been viewed by many as a paper tiger, with an acceptance of every decision from above. It is partly understandable. You could understand why neither Angela Ruggiero and Tony Estanguet would have taken the IOC to task on issues during the race for the 2024 Olympics, with the pair forming key parts of the Los Angeles and Paris bidding committees. There would be no sense for either to have rocked the boat at the time. Given that new chair Kirsty Coventry will be juggling being Zimbabwe’s Minister of Sport, pregnancy and being the IOC Athletes Commission chair, would there really be any incentive for her to provide much of a challenge to those above. History has also proved that vocal opposition has not ended well. See Claudia Bokel and Adam Pengilly. See the reported assertion that Beckie Scott was essentially told to get back in her box from a senior official at the WADA Executive Committee meeting. Going forward there surely needs to be a more vocal and more disruptive athletes voice. It has been apparent from athletes that there is distrust of the IOC and now WADA across the week. Surely this needs to be taken on board and addressed, rather than ignored. Given the pressure placed on WADA by various Athletes Commissions, another question is what do they do now. As it stands, the NADO Athletes Commission’s statements will almost certainly have been viewed as part of an orchestrated Travis Tygart led effort to increase pressure. A week of outraged athletes is probably a pain worth paying for sporting administrators, but when seasons and Olympic participation come around, could this outrage and dissent simply die out. If this week has proved anything, it is that you need to be on the field of play to make a difference. However, it is easier to grandstand when you are off it. For instance, USOC chairman Larry Probst offered his strongest stance on the Russia situation just days after announcing he would leave his role. Obviously, it makes political sense not to upset the applecart. While she will have undoubtedly garnered huge support for her opposition to the decision, vice-president Linda Helleland’s vocal opposition has probably damaged her chances of becoming WADA President. Hopefully the conclusion of this week’s statements will allow the dust to settle and allow people to move forwards. Sport, globally, needs to move away from the the whataboutery school of thinking. What about Russia? What about American professional sports? What about the Anglo-Saxon lobby, who view themselves bastions of sporting integrity yet have controversies of their own? You can point at every country on the planet and bring up flaws in the system. United States’ Anti-Doping Agency chief executive Travis Tygart called for the reform of WADA and stated that “nothing was off the table”. A much shared statement from British Athletes’ Commission chair Victoria Aggar stated that WADA needed “full independence and authority” and cut itself loose from the IOC. While I generally agree that changes and greater independence from the IOC is needed, I am failing to see many solutions being put forward. The IOC after all do contribute half of WADA’s annual budget, with Governments making up the other half. For the latter, putting money into the global anti-doping system is surely well down the list of priorities, despite public statements decrying doping. Right now, public statements calling for greater independence and a greater powers are principled and very easy to get on board with. Maybe some pragmatism is needed to move the situation forward.